Positive Parenting & Discipline Solutions? • Do you want to create a household that is more peaceful and organized? • Your children to be better able to self-regulate and be more responsible? 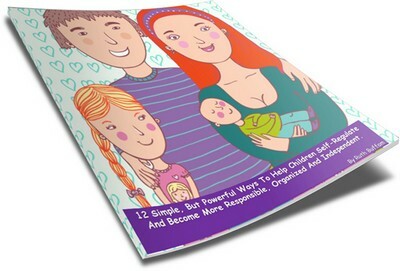 Download the 12 Simple but Powerful Ways to Help Children Self-Regulate and Become more Responsive, Organized and Independent FREE eBook. This eBook has great tips and tools to help you out!